One of the best parts of keeping a blog is the ability to look back and make comparisons. I started out about 8 years ago, before even moving to this house, and back then, the plantings around the house were small, tidy, and completely under control. It can be a little shocking to look at those pictures, really. The first additions were a row of small lavenders and a few tiny elderberry bushes. Those plantings are now enormous. Outside there are treasures from the previous occupants (most notably my mother) and that carries through inside, where the furnishings are a mish-mash of the belongings of several generations. Mom's "Little Wine Cup" daylilies. They've bloomed non-stop all year. Not typical. This has been a very interesting year to observe. Some of my friends have been watching closely to see if the monarch butterflies arrive (a few so far) while being astounded by the near invasion of swallowtails. The sound of cicadas in the darkening evenings is near maddening. And the plants. The plants have offered some mysteries too. For instance, many mimosa trees can still be found in bloom in spite of the long, ripening seed pods drooping from the branches. Typically they bloom for about 2 weeks in early July when the cherries are ripe. Last year the elderberries never matured. The stems dried up just after the berries started to form. From 3 large bushes, I was able to gather only enough for about a quart of juice and a quart of tincture. This year they are making up for lost time. The bushes are so loaded with fruit that the branches are bending nearly to the ground, some snapping from the sheer weight of the berries. A brilliant fellow on the TEH Facebook page suggested splinting them with bamboo canes (something else that grows like crazy here), so I will attempt that today. On our soap deliveries yesterday, we happened upon a brewing shop. We've been wanting to pick up some air-locks and some champagne yeast. It's been several years since we've made wine or mead, and decided it's time to give it another go. 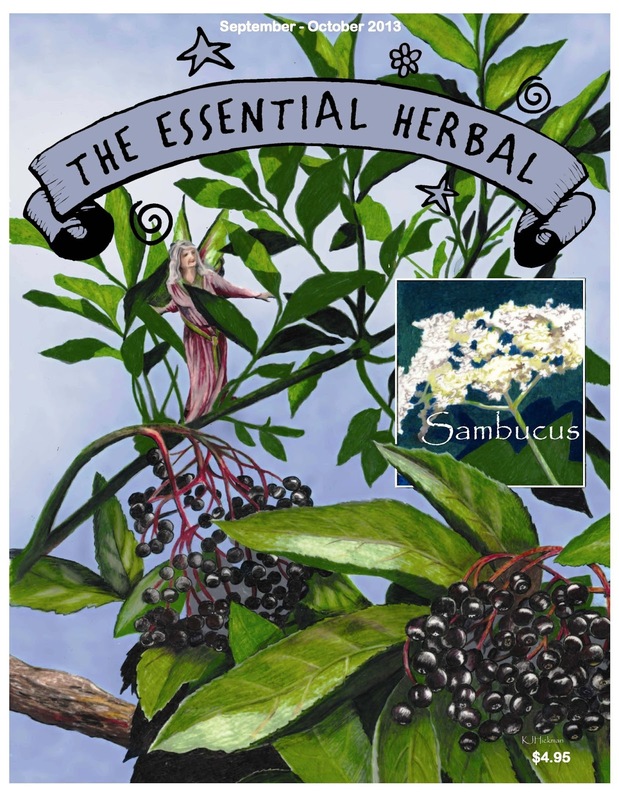 We were surprised to see how many herbs they carried, including 1/2 pounds of dried elderberries at just over $8. Maryanne suggested that I mention that here, since last year they were so hard to find in the usual places. The fig tree that was moved in the spring did revolt slightly, bearing only a few fruits early on, but the second round for the season is heavy. The chipmunks have discovered how tasty they are, so that is one reason to keep an eye out and pick the ripe ones. Another reason is a bit more important. If ripened figs are left on the tree, they draw all sorts of bees, flies, and small winged creatures, eventually forming truly disgusting balls of buzzing, stinging, bug-ness. After we've taken what we need, we'll leave the rest for them, but once that starts there's no return. The passionflower vine that was planted 2 years ago climbs along the fence and up through the 8 foot tall Jerusalem artichoke stems. It is spreading. I am vaguely afraid... This year it is covered with tiny fruits. This isn't the variety that is considered tasty, but they are edible. We'll see how that goes. Maybe we'll get to try them. The jewelweed that sprouted between the porch and the house last year has now happily taken over that space, as well as spreading to the other side and poking out along the steps leading to the porch. In fact, the entire entryway has transformed itself. When I moved in, there was a well trained clematis to one side with small barberry bushes, hens and chicks, and some autumn flowers. Since then the buddleia has volunteered to take over along with the once manageable hibiscus that my brother brought home from the beach. There's a riot going on out there, and I like it. On our rounds yesterday, there were Amish farmers and their families out in fields harvesting the leaf tobacco that will hang in the special slotted barns to dry. The walls of corn that lead to my house will soon start to disappear (just as they were really starting to creep me out! ), as I can hear the tractors working long into the night. Although it is only late August, there's a real autumnal feel to the air and the light. My friends are all getting busy with canning, freezing, saucing, and dehydrating, and the peach stand down the road is now making room for apples beside the peaches. This has been a very busy summer. It's gone by in a blink. We've been using turmeric for a few years here for joint pain especially, but there are many, many good things that this root has to offer our health. A year and a half ago, the vet was sure one of the dogs had only days (if not hours) left, and we did some research and immediately started feeding him turmeric. Although the scans showed tumors, they may well have been fluid filled sacs, but in any case he's still around. It is one of the very few capsules I'll take, but using this spice in food is a much better idea when possible. In fact, the good components are more readily absorbed if combined with fat, heat, and black pepper, which leads many to make a paste that can then be added to heated milk - golden milk. Alas, I'm not terribly keen on drinking milk, either. In fact, if we're going to be completely honest here, I just don't do a lot of extra prep around here. 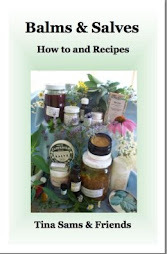 I look at all the great ideas and recipes for specific herbs that would be beneficial on a daily basis and realize that whole days could be spent in preparing AND eating. It just has to be simpler for me. So I've set about adding it to the beginning stages of things. What could be simpler than starting out in the saute pan? The other day I added a heaping teaspoon of ground turmeric to butter and black pepper before dumping in a pound of mushrooms to cook. Delicious! The same can be done with any kind of soup or stew, adjusting the amount for flavor. To me, the taste is pretty much an enhancement for most dishes. Last night, we added it to the most run-of-the-mill comfort food with great results! Macaroni and Cheese! Just a little bit left over for lunch. While the pasta cooked, I ran out to the herb garden for basil, oregano, and thyme. It was late, so the full moon was rising over my shoulder, glowing between the pines. To make the sauce (I don't really measure, but will add numbers to give a good idea), start with a good sized knob of butter in the pan and add 1/4 cup of chopped onions. Freshly ground pepper (1/4 tsp) and about a tsp of ground or grated turmeric go in with that as the onions start to turn translucent. We can never find fresh turmeric here yet, so we use ground. Whisk in a 1/4 c or so of cream, and then add 3/4 - 1 c cheese. This is when I clear out the ends of different cheeses, so this batch had mozzarella, Parmesan, and some colby Jack. As the cheese melts, add in the fresh herbs. There happened to be a beautiful fresh, ripe tomato on the counter, so that was diced and tossed in at the very end. Drain pasta and mix the sauce into the pasta very well. Once *could* bake this for a crusty top - but it was late and it didn't need it :-). It turned out very well, and if anything the color made the dish more appetizing than it normally appears. For me, the key seems to be in finding ways to add healthful ingredients into everyday meals. This was a perfect example. If things get too complicated, I know myself well enough to know they just won't happen. Whenever I start wandering around outside, it starts out feeling like it's just me, alone. Within a very few seconds, I realize that the whole place is teeming with activity. Depending on the time of year, it might be different kinds of birds, sometimes it's the rabbits and groundhogs, at certain times it is feverishly working spiders, but right now it is the butterflies and the bees. Although everyone else is out there doing their thing, those two kinds of creatures are definitely taking center stage right now. Walking towards the hyssop, the amber colored fluttering was remarkable! At least 20 of the same type of butterfly busily worked over the blossoms, scattering when I got too close. The bumblers hummed and hovered around the blue sage stalks, flying around to keep out competition from time to time. The buddleia that crowds around the side porch is a busy place. There are always a few yellow swallowtails and several black swallowtails. The yellow and white skippers are everywhere by the hundreds, and then there are tiny things that flash gold or blue as they fly. The oregano is as covered with the amber butterflies as the hyssop. The elderberries are getting ready to ripen, and I'm certain that hidden in those branches are hundreds of stink bugs. They love to surprise me when I harvest or strip the berries. The rose hips did seem to be on their own. I didn't see any critters anywhere while looking them over. I'm sure there are tiny spiders, because they like to hide out on the flower end of the hip, but this year the hips look just beautiful. In the woods yesterday, the spiders were very evident, having strung strong webs across the path every couple of steps. I didn't go very far. It was very muddy. But I was happy to see how well the pawpaw trees were doing. They are often found in the woodlands here, but none were on the property until last fall. They seem to be happy here. I don't really mind sharing the space with them, and they don't get too upset with me either. They sure are busy, though! Our newest issue is just starting to reach subscribers. Just in time for a relaxed evening read in the setting sun. We're particularly thrilled with this issue. There are several new voices on the pages along with those you know and have come to look forward to, and our exquisite cover comes from illustrator (and reader!) Tina Hickman. As we put it together, it became clear that it was a delicious, well-balanced issue that will stir some thought and provide inspiration to herbies of all levels. We hope you enjoy it as much as we loved gathering it for you! Subscribe today to get your copy HERE. Is it time to stop thinking of herbs and herbalists as strange? You've got a basket (or 10) of berries. Now what? There have been many twists and turns on this herb farmer's path. Favorite concoctions from several readers and contributors. 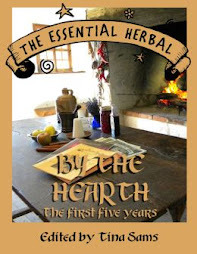 A talented herbalist with a silly side makes us all smile (with a groan or two). Starting out with a new business isn't all it's cracked up to be. It is hard work and lots of humility. Now more than ever we need to be keeping our seeds safe and viable. Are you sure you want to plant that there? Not all plants play nice in the garden. What does it really mean to help your community? Stephany pulls back the lace curtains in this poignant piece. Learn some uses for this stately beauty in the garden. A soothing, healing bar with information about the plants that make it so. You don't have to feel all alone out there! A luscious meal from the bayou from our Louisiana culinary herbalist. Nature's prognostications abound. Just look around and start stacking the wood! Simple and delicious accompaniment to fall dishes. 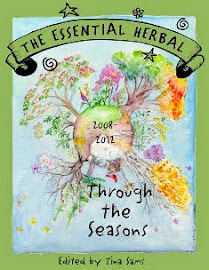 Herbs of the Forest - Cultivating a Forest Garden, Suzan T. Scholl The woods around you can be your herb garden too. What do you need? What do you want? And what will make an herbie's life easier? Do you speak the language? Or do you feel like you are missing something? Maybe it isn't what you think. Wander among the plants that have been gathered in an imaginary witch's garden. Lore and uses for the unassuming but vastly important mint plant. Make up this concentrate and have this refreshing beverage all year long. We've been slogging through humidity and heat, rain and ... did I mention humidity? Last night I put some fuzzy socks on. In the middle of August. This morning I woke to a crystalline morning. The open windows blew the curtains crazily into the rooms. I huddled on the sofa drinking my morning coffee in a sweater - grinning. I don't know what the temperature or the percentage of humidity was on any charts or scales, only that it was a perfect day. We expect another one tomorrow. Without a doubt, it feels like fall. The leaves on all the trees had their undersides turned out as if it were dry and they were awaiting a rain. The sky and the quality of light signal fall arriving - and of course the school buses out practicing their routes and the advertisements everywhere. This is the first year in 17 that they have no power over my life. Certainly we'll return to the muggy, close, hot days of August and early September, but right this moment - it is perfect. So Long, TCW Computer Systems. Never again. I've been on the receiving end of some pretty shoddy customer service in my day, but today... today the golden award of incredibly horrendous service was shoveled my way, and although I paid the money, I'm getting it off my chest. In the past 5 years we've had all of the business and household computers repaired at TCW (Manheim PA) several times, and even purchased equipment from them. It's convenient. They're right around the corner. Along the way there have been several issues, at one point even prompting me to ask in all seriousness, "Am I in the wrong place? Do you only want large business customers?" But I was assured that it was just a series of miscommunications and that they very much wanted my business. So we continued to go there. Three months ago, the letters on my four month old laptop keyboard began to wear off. Having purchased it there, I called to ask about whether they would replace it since it was so new. The technician took the make and model number of the laptop, and told me that there would be no charge and that he would order the part. I specifically asked if there would be a charge. I was specifically told that there would be NO charge. Weeks pass (3), and I call again. "Oh, didn't anyone call you?" the receptionist said. "That part is no longer available, so we have to order something similar. We'll order that in. It will take about a month and we'll call you." No mention of a price. Miraculously, they did call. To tell me that it would be another month. At that point I started to wonder if we were just running out the clock. No mention of a price. The part came in a couple of weeks early, and I took it in last Friday about 2 pm. The technician said it would be about 1/2 hour, and he'd call me to pick it up. Around 5:30 I realized the computer would be away for the weekend. No mention of a price. Imagine my surprise when I was presented with a bill for $92.17 today! When I said that I specifically was told that there would be no charge, the answer was that they aren't authorized to work on warranty work for HP, so they couldn't possibly do it without charge, and that I should have taken it to an HP shop. AND I WOULD KNOW THAT, HOW??? Perhaps the technician who told me it wouldn't cost anything might have mentioned that detail? Oh, and by the way, she said, the keyboard wasn't *really* defective, it still worked. She would take off the $31.95 in labor. She said that it was an unfortunate "miscommunication." Well see, I have a problem with that. Where I come from, a miscommunication means that one person says something, and the other person hears something else. That didn't happen. So as far as I'm concerned - it was a lie, not a miscommunication. In the meantime, she was holding the laptop behind the desk, out of my reach. There was no way I was getting that equipment without paying for it. I told her I would never be back, though never raised my voice or anything like that. She ignored me, and ran my card through. For $58.30, they turned away a lifetime of possible business from me, my family, and anyone I get a chance to tell. I've spent years in customer service, working for others and now in self employment. I hope I never get so busy and have so much business that I'm willing to scam a customer out $50. I need and respect my customers far too much to scramble for change. I work on the computer a lot. I also resist increasing technology a lot. Several years ago, my brother thought that it would make my life easier, and gifted me with a laptop, so I wouldn't need to spend several hours a day in the office, but could just work in the living room (and keep him company). At first I barely used the thing. Files were synced on the 2 systems, and still it sat, rarely used. The printer was hooked up, allowing me to print from any room in the house. Oh, how I resisted. But eventually, I started to use it, of course. Gradually my housekeeping skills fell by the wayside, the writing that always took place with paper and pen became rarer, and even personal paperwork got shoved off into the roll-top, out of sight. Not that one needs to put things out of sight if they are the owner of a tool that manages to turn their home into a tunnel between the door and the computer screen, mind you. Did I mention anything about an addictive personality, because um... yeah, there's that. That laptop was replaced with a new one about 6 months ago. All of the letters on the keys have started to rub off in that short time. There's no 'e', no 'n', and barely a smudge where the 't' was. Under contract, into the shop for a replacement keyboard it went. The timing completely escaped me, and when I realized it was Friday afternoon - leaving me laptop-less for the weekend - it was too late. No biggie, there's still the desktop computer in the office. Saturday afternoon, my daughter asked me if Martha Stewart had visited. The house was clean. Orders were out, charges run, personal mail taken care of, articles written (!!!) and the shipping area under control. Sunday, the writer's copies envelopes were all addressed, and the magazine didn't even get delivered yet. Product labels were printed, trimmed, laminated, and filed. I played outside. I worked on some soap. I created and thought and produced. I remembered my life. The plan now is to take the laptop out of the house each weekend (my sister's) for a while, and see if that works out. That might sound ridiculous, but clearly if there was a good supply of willpower or self-control around here, we wouldn't be having this conversation, now would we? I really want my life back, and seriously doubt if, when this laptop wears out, there will be another. And it is clear that there can never, ever be a smart phone in the house. There's an article all ready for the Nov/Dec issue, too. It's been a great weekend! I was working on an article for the Nov/Dec issue of TEH earlier today, and suddenly realized that it was difficult to decide exactly on the intended audience. Just as a vast number of my cohorts are thrilled to find chicken feet to add to their bone broth, an equal number (probably more, honestly) are still quaffing down aspartame in sugar-free drinks and foods. I am hardly one to judge. Although I am well educated in the various types of diets and lifestyles out there and the reasoning behind them, I rarely stick with anything. I'm an omnivore :-) In fact, over the past few weeks of super hectic travel and work, it's been very fortunate that summer fruits and vegetables are as easy to lay my hands on as a bag of chips. There have been some truly horrible (health-wise) meals. The same sort of lines have been drawn when it comes to using medicinal herbs vs over the counter preparations. It isn't even a case of everyone wishing they had the time to make their own comfrey salve for cuts, herbal tea blends for headaches, or syrups to fight colds. Some people will reach for an over the counter pain medication because it works and it's what they know, and I suspect that it is a lot more frequent even in the herbal community than people admit. For myself, there are occasions (much rarer than a decade or two ago) when I just don't want to bear with the pain and work through it. Sometimes it just needs to go away NOW. Do harried, working parents need to be guilted because they wake on a Tuesday morning to a child with a runny nose, and they don't have any lacto-fermented ginger soda? Or because they forgot to make the sprouted grain nettle and amaranth crackers? Having been in precisely those shoes, I think we need to applaud them for the smaller victories and be gentle. Maybe the over the counter medicine was washed down with some herbal tea. Maybe the chest rub was something Mom made during a class. There are just so many ways to be wrong these days. So as I thought about it, I realized that the purists don't need to hear my thoughts on the subject of the article. They've already been canning and drying and tincturing and blending. Instead, I'll talk to that mom who would trade her next day off if a sleeve of saltines and a bottle of gingerale would magically appear in the cupboard for her sick kid. Sometimes it is the small steps that change everything. 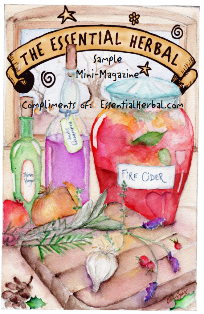 If when I became interested in herbs, it appeared that it would mean changing everything, I would never have done it. I still haven't changed everything, and probably never will. It's funny how a simple, everyday conversation between friends can go. One minute you're discussing the weather, and the next, you realize that between the three of you there are two pretty complete plans for day-long herb festivals! As it turns out, about 7 years ago my sister and I had gone so far as to start lining up speakers and announcing our intent on the TEH email list - only to be forced to drop it when a family member became ill and needed our attention. Susan Hess of The Farm at Coventry had made a full plan as a class project with her second year students a few years back. You know what happened when these two plans came to light? Magic! You can be a part of this magic on October 19 of this year! Location is in Pottstown PA, easily reached by the PA Turnpike, a few miles from either the Morgantown or Downingtown exits. Only $60 for the whole day. 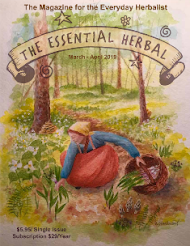 We've got a full day of wonderful sessions, shared by passionate, exciting teachers covering topics that encompass medicinal herbs, regional folklore, homesteading skills, and more. Each participant will be able to choose 4 sessions from the dozen being offered. The location is a beautiful park with miles of trails, beautiful fall color, and 2 large pavilions that will protect us should the weather be less than perfect. Lunch will be available for purchase, or bring it along. Teachers will have tables full of their offerings at a small marketplace. Judging by the registrations that have already come in, you'll meet amazing people and have a lot of fun. We've all seen magicians toss magic powder into the air with a flourish, resulting in colored smoke, a disappearance, or a cute bunny showing up unexpectedly. In many ways loose incense has that same sort of magical effect (without the bunnies). Set some resin blended with herbs or woods to a sufficient heat source, and the air is infused with scents evocative of wooded glens, summer gardens or autumn cookspaces. Years ago my sister and I were the herb ladies at a local renaissance festival. We were known for our "herb walls", pegboard lined walls which held hundreds of pre-weighed ounce packages of herbs. We kept what we called a "shake" bag of all the bits left over after weighing the pounds into ounces. Our antique scale never gave us more than 15 ounces per pound, so there were always leftovers. In order to create interest and draw customers, we kept charcoal disks burning and periodically sprinkled a pinch of this random blend over them. So began our love of incense making. This loose form of incense is the simplest, and in many ways the most creative method. Whereas formed incense line cones and sticks require very specific measurements and ratios of ingredients, there are no such barriers for loose blends. Most often, a very scant pinch of the blend smolders upon a specially made self-igniting charcoal disk. Care must be taken because indoors the smoke can be overwhelming unless a light hand is used. Resins can be simmered in water; a blend of lavender buds and frankincense is lovely simmered or smoldered. Blends can be tossed into campfires or heated woodstoves. For the most part though, incense is burned. Blending is where personal preferences come into play. For instance, to me a blend starts with a resin (pine, copal, myrrh, frankincense, dragon's blood, etc) but may not be at all important to someone else. Yellow sandalwood was at one time de rigueur but in recent years it has become too precious and so we save it for very special blends and use it sparingly. Powdered or cut and sifted fragrant herbs and spices are good inclusions. Many other symbolic additions are possible in small quantities too. We live on a Christmas tree farm, and the trees are trimmed each summer. In the fall and again in January, I gather the drying drops of sap that results from the cuts to the trees and put that sticky mixture in the deep freeze for a year to dry out. It is my favorite resin to use for personal blends because it means a lot to me. Along with that, I blend herbs that I've grown over the summer. Lavender, thyme, lemon verbena, sages, basils, mints, and many other plants from the garden or found in the wild can be used. Incenses can be made in a way that uses the language of flowers to make them meaningful, they can be carefully designed, or they can be a haphazard mixture of the things that make you happy. Sometimes burning changes the scents of substances in surprising ways. To find out if a scent remains true, light a charcoal disk and burn the tiniest pinch of each of the substances being considered. It was a surprise to us that orange peel was unpleasant when burned. Essential oils (and synthetic fragrance oils) almost always retain their true scents when burned, and a very small quantity goes a long way. As always, record the blend as it is being created. It would be sad to stumble upon the ultimate blend and not be able to duplicate it. Make very small batches. If it is perfect and the recipe is recorded, more can always be made later. If it doesn't turn out as was hoped, using a teaspoon measure or smaller as "a part" (as in one part resin, 1/2 part lavender, 1 part rose petals, 2 drops patchouli essential oil, for instance) means that much less material will be wasted. Most importantly, enjoy the process and trust your own creativity. Going back to our shake bag from the renaissance faire, it should be fairly clear that it is difficult to blend a loose incense that is bad. Store in an air-tight container out of the light and it will last for years. Depending on the ingredients the scent might fade somewhat as years pass, but I have some that is close to 2 decades old that are still delightful.